mustard oil, Lazzaris creates an incredible array of specialties. Their Pear Mustard Sauce is a delicious and fragrant blend of top quality puréed pear and mustard oil with a naturally granular texture. 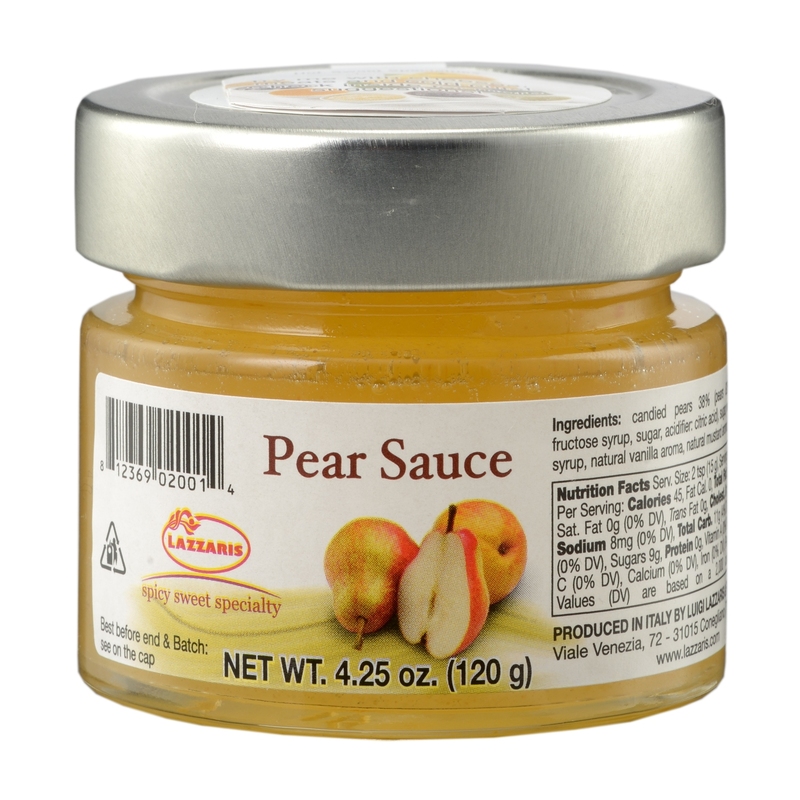 Pear Mustard Sauce can be enjoyed simply with a robust cheese, or with a limitless imagination for hot or cold culinary conceptions.